Gold prices held firm on Monday, supported by worries over a slowdown in global economic growth and uncertainties around Sino-US trade war, but a strong dollar limited the safe-haven metal’s appeal. 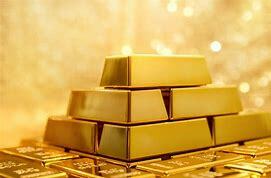 “Global growth worries, absence of positive signs in U.S-China trade (talks) and reduction in the euro-zone growth forecasts have laid a strong foundation for gold in the longer run,” said Benjamin Lu, an analyst with Singapore-based Phillip Futures. While gold is supported by the Fed’s dovish policy, prices will likely remain range-bound until there is clarity on the trade front and U.S. government shutdown, OANDA analyst Edward Moya said in a note.